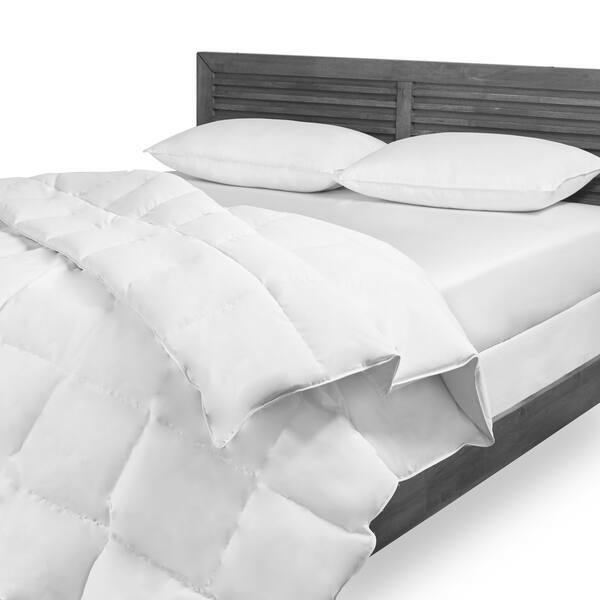 Get the comfort of down without the cruelty with the Down Alternative Duvet Comforter from I AM. Filled with down-like polyester fiber fill and constructed with 100-percent premium cotton with corded edges, this comforter will offer enduring comfort. I wanted a cotton covered comforter, not microfiber. This one looked nice and well made. "What is the dimension for the full size comforter?" Dimensions on the comforter: Twin 64 x 90. Full/Queen 86 x 90. King 104 x 90. "Does this product have loops or ties for duvet cover?"